Nestle’s Maggi is back with Pedas Giler! !, a dry spicy noodle, which is a new addition to the highly successful bowl instant noodle – soup range called Hot Mealz. Pedas Giler!! is literally translated as “Insanely Spicy”. Both Pedas Giler!! and Hot Mealz are bowl noodles weighing around 96-99g. Pedas Giler! 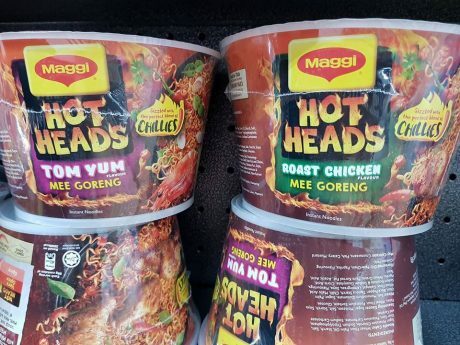 !, a mie goreng or dried fried noodle, is complementing the highly successful soup-based Hot Mealz, first launched in late 2016 and that was when Maggie entered the bowl category. Spiciness sells in Malaysia. The highly successful Samyang ramen is known for its extreme spicy taste. Locally, McDonald’s Malaysia has scored success with its Ayam Spicy McD. The Ayam Spicy McD advertisement comes with the crunchiness sound of the crispy Ayam Goreng McD and lets the expression of the eaters especially when the spicy taste finally hits them does all the talking. Maggi uses a spicy intensity colour coded bar to describe its extreme spicy taste. During preparation, the hot water has to be poured out as Pedas Giler is to be consumed as a dry noodle. Competitor Nissin has the turbo draining system in its U.F.O ramen to make it easy to drain out the water. The price for Maggi Pedas Giler!! cup (97-98g) at Jaya Grocer is RM 3.50. 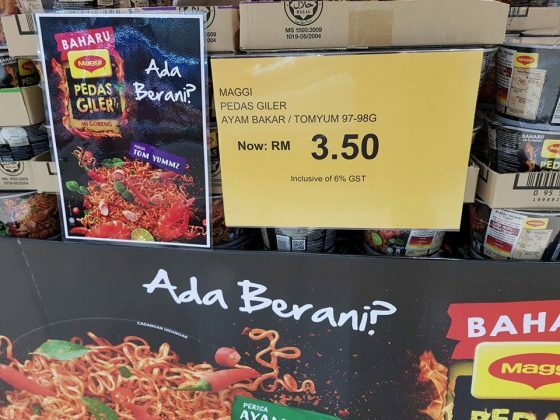 Maggi is throwing consumers a challenge with the “Ada Berani?” “Do you dare?” shout out. With Pedas Giler! 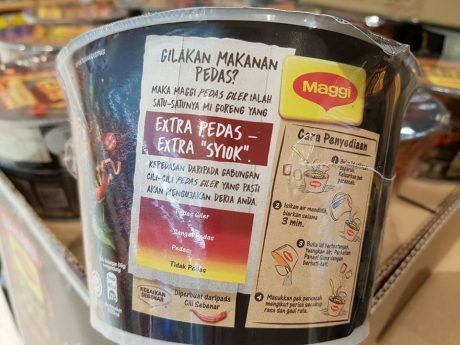 !, Maggi now has bowl noodle for both the dry and soup-based segments. Maggi is also equipped with a spicy noodle to take on the spicy Korean ramen. 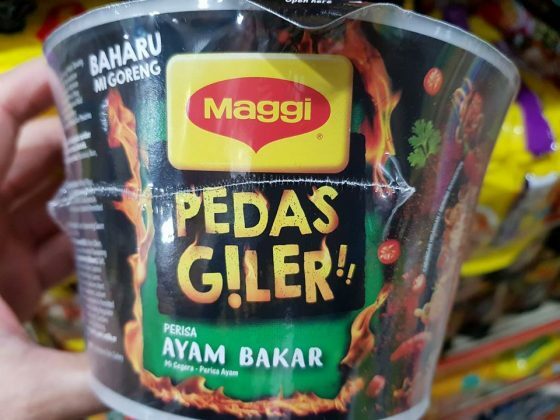 It is predictable Maggi will be doing a lot of marketing using the tongue numbing spiciness of Pedas Giler!! as a key theme. Here are the rest of the Pedas Giler!! gang that has been certified halal by JAKIM. Notice the range is also available in “bag” in addition to cup as well as other the seafood berapi flavour. 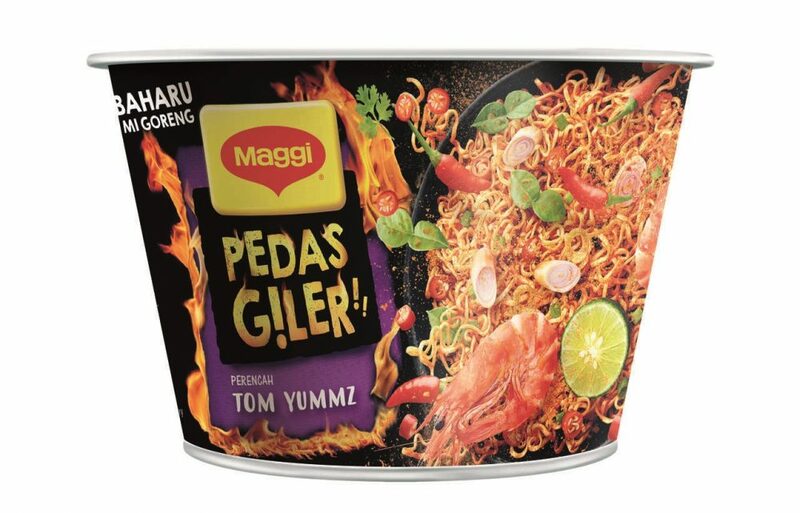 In Singapore, Maggi Pedas Giler!! is known as Hot Heads. 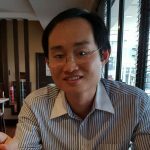 Am I seeing double – E-Mart entering Malaysia?